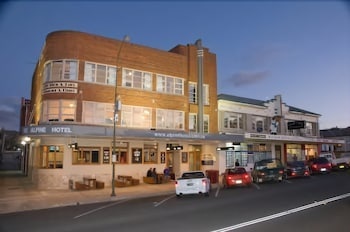 This hotel is within close proximity of New South Wales Corrective Services Museum and Snowy Hydro Discovery Centre. 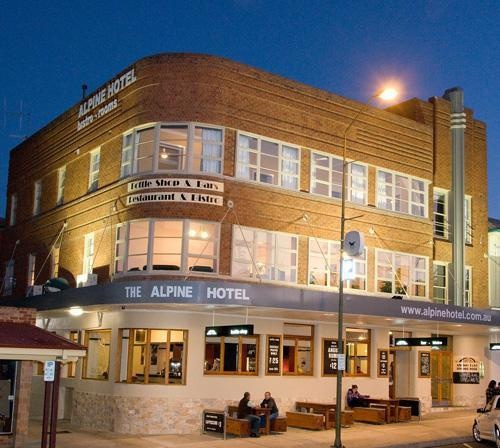 With a stay at Alpine Hotel in Cooma, you'll be minutes from Cooma Visitors Centre and Centennial Park. Make yourself at home in one of the 27 guestrooms. Complimentary wireless Internet access is available to keep you connected. Conveniences include ceiling fans, housekeeping is provided daily, and cribs/infant beds (surcharge) can be requested. Enjoy a satisfying meal at a restaurant serving guests of Alpine Hotel. Quench your thirst with your favorite drink at a bar/lounge. Featured amenities include luggage storage, laundry facilities, and ATM/banking services. Free self parking is available onsite. Friendly locals. Parking close by. Convenient location. Best steak dinner. Great restaurant food. Good “Pub Food. Staff friendly. Friendly the Lady. Easy checking in. Stunning Art Deco. Friendly atmosphere. Good ambiance. Wine selection great. Nice beer selection. Beers were cold. Shared shower not the cleanest. There was no hot water. No fridge. Wi fi did not work. No wifi.